You might think I'm mad but...: Do all those who lie here know why they died? As I'm sure you are aware recently there was a ferry disaster in South Korea off the southern coast near Jindo. Many people lost their lives and many are still missing. A huge portion of those affected were students on a field trip. I'm not going to talk about the disaster itself as I believe that you can get way more informed news and opinions about it from the BBC or the Korean Herald. 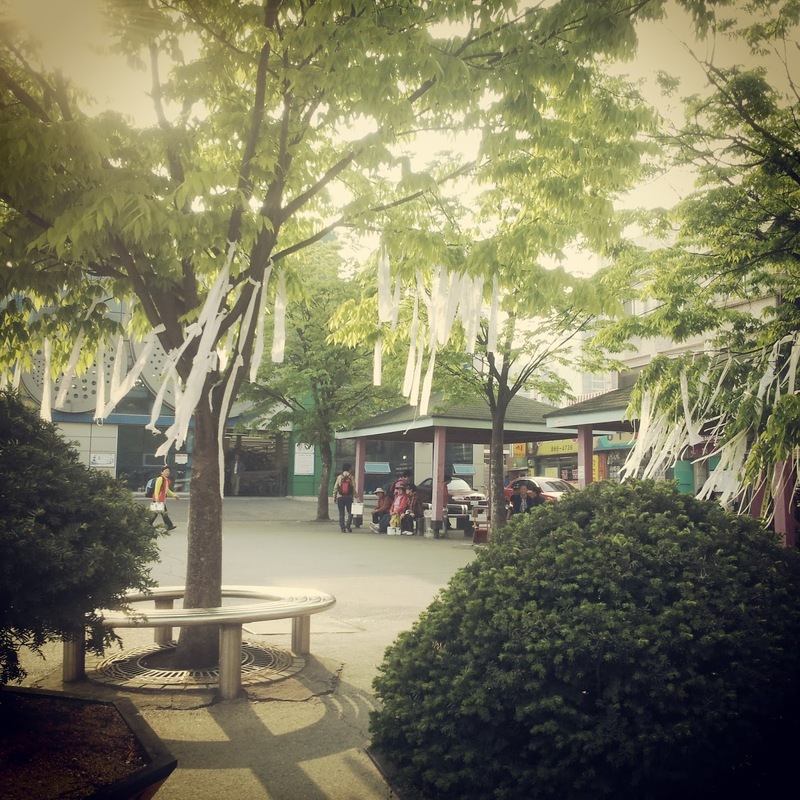 However, what you may not be aware of is how much this disaster has affected daily life in Korea, especially for schools, students and teachers. Many schools, my own included, have cancelled events like Sports Day that traditionally occur on May 1st. Instead, the students will have classes as normal (for those wondering, it is also Workers Day so I am off). Additionally, many students were looking forward to field trips - some of which were overnight trips and these too have been called off for the foreseeable future. This is understandable, especially considering the huge amount of students who were lost. Parents must be so worried that something might happen to their children. Teachers are probably grateful that they will not be responsible for their students lives so near to this accident. And students? Well, while most of my students know what has happened, I am sure they probably don't fully realise the extent to which this disaster is going to have on their lives: no trips for the foreseeable future, but also in the long run a lot more care and watchful eyes will be on them than was in the past. As Korea reels in grief over this disaster, events that Koreans and expats alike have been looking forward to have been cancelled as joyous festivals, concerts etc are considered insensitive to those who lost their lives and their families. Even events like the lantern festival to celebrate Buddha's birthday have become more low key. I think that is the hardest thing about this disaster. It is awfully sad, just like the Malaysian Airlines disaster before it and all the other terrible things that happen in our world from tornados to bombs. Even though we want to mourn, and should mourn, life goes on: children are born, grandparents die, lovers are found and marriages collapse. Even in Korea. You might think I'm mad but I do think that in the midst of tragedy, here in Korea we may be forgetting life. My students remind me of it though. As my co-teachers wear yellow ribbons in memory and many breaks are spent discussing it, my students giggle while playing bingo, laugh while trying to follow directions blindfolded and sing "Let it go" with all their hearts. This disaster will hopefully lead Korea to a better future. A future where seat-belts are always functional and used in the back of the car ( oh, taxi-drivers of Jochiwon), where there are enough lifeboats on each ferry and basic safety is understood by most everyone. Much like when you fly, I really hope that on the ferries (ok I've never been on a ferry so if this already happens, my apologies) safety drills are completed when embarking and disembarking, where disaster drills are conducted regularly and everyone knows what they should do in the case of an emergency (I'm not saying people don't know this already but it is always best to be reiterated again and again). And a future where the captain always goes down with his ship. PS the title of this post is taken from the lyrics of the ballad "Young Willie McBride" also known as "The Green Fields of France". As I read these lyrics, I thought that they were very poignant and relevant for this, and any, disaster where loss of life could have been avoided had the person in charge not been incompetent.